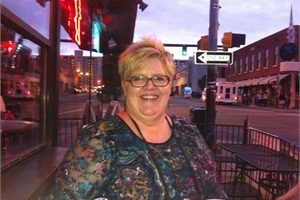 Linda Burtwistle says overseeing First Student and giving its employees tools to help them grow has been energizing and rewarding. 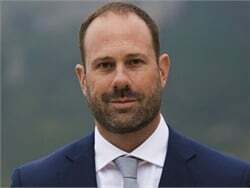 In 2008, I joined FirstGroup America and took on my first general management role as president of First Transit and Services [after working in financial positions at several bus and rail companies since 1996]. In 2009, I became president of First Student. 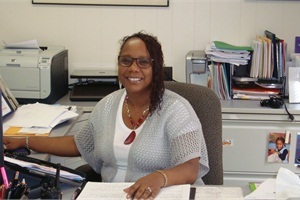 I oversee all aspects of running our division’s 50,000-plus vehicles and 600-plus locations. In addition, I have oversight of FirstGroup America functions where we share resources with First Transit and Greyhound divisions, such as legal, risk management, engineering, labor relations, payroll and benefits. What are your top professional achievements? Firstly, the successful transition from finance to general management, and secondly, the transformation of First Student and creation of what we call the “New First Student Way.” For the last three years, we have focused on creating our own culture and giving our people the tools to help them grow and succeed. This has been massively energizing and thoroughly rewarding. I love to ride horses and have two absolutely beautiful dressage horses that I try to show as much as I can. Also, I enjoy a good workout at the gym as often as possible. Throughout my career, I have spent more time living outside of my home country of Scotland than I have living there. A plan will never work unless the people who actually deliver it, own it. Have you noticed growth in the number of women in leadership positions in the industry? I think there are still relatively few female executives in the industry, and I am not really sure why. The transportation industry has given me a wonderful career with plenty of opportunity and scope. I hope women today can see these opportunities and run with them. What do you find most interesting about working in school transportation? The constant challenge of making sure that, while meeting the expectations of our parent company and shareholders, we never lose sight of the fact that we are 600 local businesses operating as a team to safely deliver our 6 million passengers to and from school every day. For Wilma Crabtree, the best achievement of her career is knowing that students are safer now than when she started in the industry in the 1970s. I started in 1970 in the safety department of the Kansas State Department of Transportation. The division transferred to the Department of Education in 1994. I have been in this position for my entire career, dedicating my life to kids that ride the school bus. in addition to the annual loading/unloading survey, I am responsible for maintaining a vast “lending library” of safety videos for schools in Kansas; compiling and maintaining a Listserv for dissemination of school transportation information to Kansas schools, including the annual School Bus Safety Poster Contest; working with the Kansas State Pupil Transportation Association for its conferences and events; and more. Tell us about how and when you began working on the national school bus loading/unloading survey. The loading/unloading statistics have been collected since the 1970-71 school year. In the early '80s, I took over the national survey. I strive to make the survey report both accurate and easy to understand, and I take it very seriously. Each time I receive a report of a student fatality, it breaks my heart. How would you describe the impact that the survey has had on the industry over the years? The impact has been huge. For example, let’s look at the federal motor vehicle safety standards (FMVSS) applicable to the school bus, particularly FMVSS 111 that regulates school bus mirrors. In the ’70s, they only asked for one exterior mirror on the right front fender. Then in 1992, they changed it basically to what we are using today. 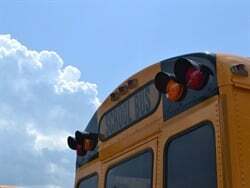 The survey has been cited in several court proceedings, driver training seminars and finds its way to the National Congress on School Transportation every five years to assist with safety designs for future school buses. I would say the survey has made the industry more aware of the problems. The best achievement is knowing that student transportation is safer now than when I started in this job. I like communicating with the different people in the school transportation field, from bus drivers to local transportation directors to the state and national transportation officials. Victoria DeCarlo made the Steffi Crossing Enhancer to help students see the bus driver’s hand signal when crossing the street. The mother of one of my daughter’s friends was a bus driver at Lake Shore Central School District, and she told me about all of the advantages and her love for the job. It was enlightening. So I did it! I am still driving a bus over 20 years later. I’m at work on time and show and have respect for my employers, co-workers, students, parents, safety rules and regulations. I rid myself of all foreign thoughts that would distract me from doing my best behind the wheel of the bus. I am relentless in repeating safety instructions to my students on a daily basis. You recently developed the Steffi Crossing Enhancer, a tool that can help students see the bus driver’s hand signal when crossing the street. Do you have any other safety-related projects in development? I have made a photo luminescent (glow in the dark) arrow on Steffi Crossers. These would be great for the dark winter months and late sports and nighttime field trips. These Steffis only need a few minutes in the light to charge and they glow across a dark windshield. I also will be designing a more flattering safety vest one day. I design hats and accessories, along with many other things. I love to travel and experience other cultures. That I am shy. But when I have a passion and a strong belief on a subject, I have no problem projecting my insight and sharing it with the world! What do you find most interesting about working in pupil transportation? The trust that comes from many individuals to do what I do and to make safe decisions when the time arises. The joy of experiencing students’ wonderful personalities and sending them into school and home safely. I also find it interesting to have a supervisor who is so dedicated to his work. Magda Dimmendaal is a member of Hartland Lake Country Rotary Club, and next February, she plans to travel to Haiti to work on a service project. I started out as a school bus driver in 1973 and progressed to driver trainer, dispatcher, manager, vice president, and I bought the company [Dousman Transport Co. Inc.] 25 years ago. Employee and customer relations are what I spend most of my time on now. From 2001 to 2003 I was president of the Wisconsin School Bus Association. 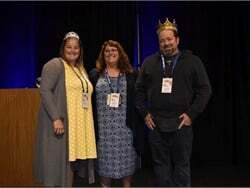 In 2004, I was named Contractor of the Year by SCHOOL BUS FLEET, and I just completed my two-year stint as president of the National School Transportation Association [NSTA]. I’m a member of the Hartland Lake Country Rotary Club. I’ve just signed up to go to Haiti for a week in February, where we do a vision project every year. I also love spending time with my family. My dad taught me to not be afraid to ask. He’d say, “‘No’ you’ve got; ‘yes’ you can get.” Not giving up and taking no for an answer helped when I was trying to buy the company [Dousman Transport Co. Inc.]. You were the first female president of NSTA. Have you noticed growth in the number of women working in leadership positions since you started in the industry? If so, to what do you attribute this growth? There has been noticeable growth, and I think there are many factors. I don’t like to stereotype, but I think women, in general, are more compassionate than men. I think we are better equipped to get employees to understand that the way they manage their roles and responsibilities as a personal reflection of their professionalism drives the success of our companies. I know I’ll probably catch flak for that comment! Working with people every day, from drivers to parents to school administrators and staff, as well as the students who ride our buses. It can be challenging, but it is also very rewarding. 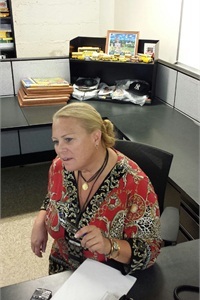 Although she currently works in the transportation department at Miami-Dade County Public Schools, Sandra Garcia has worked in others during her 28-year career at the district, which she says has given her an opportunity to learn the different aspects of each and see their importance. I have worked for Miami-Dade County Public Schools for 28 years, working in different departments. I came to the department of transportation in 1999. 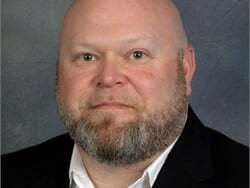 I currently work for Orlando Alonso, who oversees the operations side of transportation, as well as the vehicle maintenance part of the department. My current job duties are responding to requests from outside vendors asking for public records information, such as copies of personnel files, copies of our transportation handbooks, and media and television stations requesting information on certain topics. I also handle referrals regarding parent complaints, vendors soliciting their services, etc., and in my office, we make the recommendation for suspensions and dismissals of bus drivers and attendants based on their absenteeism, abandonment of the position or other reasons. We also handle legal cases that involve transportation. 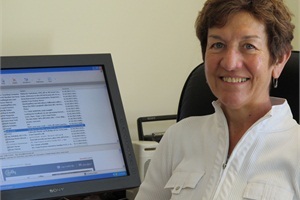 Working for the school district for 28 years in various departments. This opportunity has enabled me to learn the different aspects of each department and see the importance of each. Every department is an essential part of the puzzle that makes the district operate at its best. I have a 16-year-old son, and I keep busy with his afterschool activities, and he also plays the saxophone and participates in many music activities. I am Hispanic (my parents are Cuban), but I was born and raised in Gary, Ind. I moved to Miami in 1980, where I finished my last two years of high school. To never give up. Set your goals in life and be determined to reach them. Always stay focused and pursue your dreams, whether personal or professional. Always be willing to learn and take on new challenges in life. It’s interesting that there is always something unusual or unexpected that occurs in transportation. Just when it seems we’ve seen everything, something new comes along. 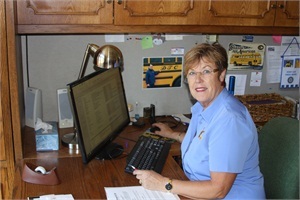 Diana Hollander says she finds the passion of those who work in the pupil transportation industry interesting — she says they are generous and ready to help whenever it’s needed. The job literally fell into my lap when no one wanted to do it. I raised my hand and said I would do it. I’m happy that I raised my hand. 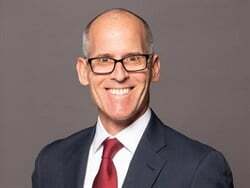 I’m responsible for school bus standards, the training manual, out-of-service criteria, and state and federal regulation enforcement and technical assistance. I am also the chair for the Nevada School Bus Safety Competition. How much I’ve learned. My achievements are that I completed school bus driver training and the National Safe Kids car seat certification. I also serve on the NASDPTS [National Association of State Directors of Pupil Transportation Services] board. Hanging with my family, traveling, cooking and shopping. It doesn’t matter who gets credit as long as it gets done. And don’t sweat the small stuff. What are some of the key issues for school transportation in Nevada right now? We had to correct legislation passed in 2011 that would have mandated fire retardant in the engine compartment of all new school buses. The result is that engine fire suppression systems will be required in all new school buses purchased in Nevada in 2016. We will also attempt to get legislation that would allow stop-arm camera evidence to ticket violators. Not really. The men still beat us by more than two to one. There are a few more, but not enough to catch up with the men. The passion and innovativeness of the folks who work in this industry. It’s never boring, and the people are awesome, generous, giving and ready to jump in and help whenever necessary, not to mention lots and lots of fun! 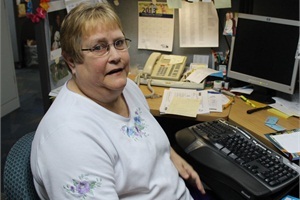 Kathy Houck says she is proud of her role in helping to create a positive, caring and customer service-oriented atmosphere at her transportation department. I started as a part-time bus driver. I was looking for full-time employment but loved the job so much that I decided to stay. I supervise 113 employees and oversee 89 bus routes. My major responsibility is making sure the department is providing excellent customer service. Helping to create a positive, caring and customer service-oriented atmosphere at our department, with the assistance of a wonderful staff. Also, development of training focused on positive student management that supports education. If drivers can resolve bus behavior issues, then kids stay in the classroom learning, rather than in a principal’s office. I love to read! I also serve on the Reynolds Education Foundation Board. In addition, several staff members and I support Snowcap, a local charity, boxing food to deliver to our schools for children in our district who are hungry. You don’t have to “invent the wheel” — you can steal others’ great ideas. 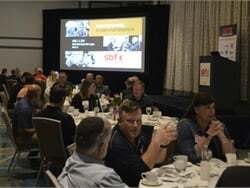 Tell us about your involvement with the Oregon Pupil Transportation Association (OPTA). I am currently OPTA’s state board executive secretary. OPTA is such a valuable organization. They supply excellent training and support for bus drivers, driver trainers and supervisors in Oregon. Most of my ideas for improvements come from classes or casual conversations with colleagues associated with OPTA. Yes, I believe many women started as drivers and grew up in the industry with a true passion for school transportation. I love the children. They are fascinating. Anything I can do to assist drivers to realize what a vital role they can play in a child’s life is exciting. 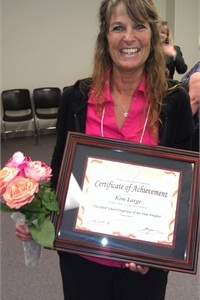 Kim Large was recently honored by the Orange County Board of Education as the Classified School Employee of the Year for transportation, a recognition she says was very humbling. I was a stay-at-home mom, and I thought it was time to help financially so that my husband could work less and spend more time with the family. I went to the school district where my kids went to school. They weren’t hiring bus drivers at the time (imagine that). Two years later, in 1998, an opening for bus driver trainee appeared. I applied and got the job. What started as a part-time job has become a wonderful career. 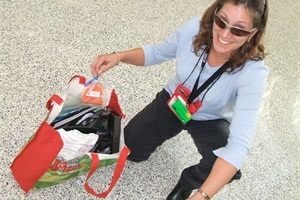 Dispatching, scheduling, working closely with special education, and managing and coordinating all kinds of resources. In April, I was awarded the Orange County Board of Education’s Classified School Employee of the Year for transportation. This honor was very humbling since there are more than 1,000 dedicated transportation employees in Orange County. Some of my interests are participating in all sports, especially volleyball and tennis, and my newest sport is golf. I also love deep sea fishing. I do crafts, cooking, gardening and bike riding to relax. I am captivated by harmonica music for some unknown reason. 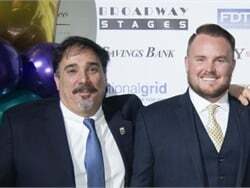 My director and operations supervisor convinced me that I could still make a difference — in fact a much bigger difference — in the lives of kids by working as a cover driver and eventually as a dispatcher. Even on really “bad” days, I haven’t regretted the decision to follow that advice. I have come to realize that it really takes a team to serve our students properly. We play a large, important role in developing the next generation, and there are so many partnerships we have to build and maintain to make it work. 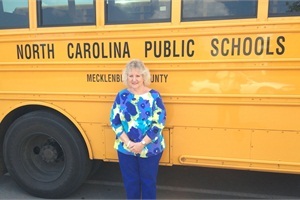 Cinda Meneghetti says she feels blessed to work with some of the best pupil transportation officials in the nation. In 2004, I was hired at the Illinois State Board of Education to manage the state’s pupil transportation claim reimbursement system. In 2005, I became the Illinois state director of pupil transportation. My job duties include setting up training for school bus driver instructors who teach approximately 28,000 school bus drivers annually; reviewing transportation legislation; responding to questions/concerns by e-mail and by phone from school districts and regional offices of education; meeting with transportation personnel quarterly (the Illinois Pupil Transportation Advisory Committee); developing curricula and training materials; and maintaining Illinois’ electronic system that tracks requirements met for all school bus drivers and school bus driver instructors. In addition, I assist with the driver’s education program and the district transportation reimbursement program. I enjoy sports of all kinds, gardening/worm farming, traveling and watching my 11-year-old son grow up. 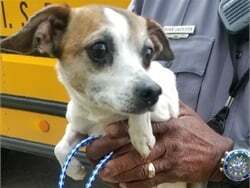 Plus, caring for my aging parents, who live in my home. What is the best advice someone has given you, or what has been most helpful to you? And I am blessed to be able to work with some of the best student transporters in the nation, and they are from Illinois. 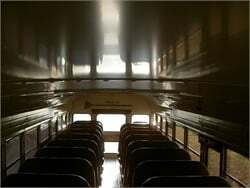 What are some of the key issues for school transportation in Illinois right now? Illinois is presently dealing with budget shortfalls for funding student transportation. 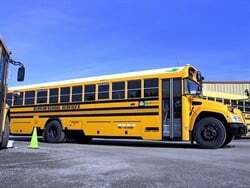 Also, Illinois’ stop-arm camera law, which allows municipalities and school districts to work together and split the fees/fines for any illegal school bus passing violations and pay for the equipment and its installation, was signed into law in August. 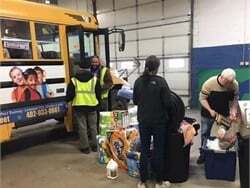 Two things I learned quickly about this industry are how little the public understands about what goes into transporting their children safely, and this industry is full of compassionate people. Nicole Portee says she is glad to play for “team DPS” and is proud of her efforts to brand the transportation department, implement a shuttle system and roll out a districtwide bus pass system. I joined the Denver Public Schools (DPS) transportation team as the safety and training supervisor in 2003. Through great mentorship, support, and after working in various positions within transportation, I was asked to serve as the executive director of transportation. I play a significant role in ensuring 500-plus staff members work as a team to safely transport students. I lead the work of thinking innovatively and strategizing on continuous linkages of service models that support growth, staffing and customer satisfaction. I work collaboratively with key stakeholders within our district to enhance efficiency that supports continuous improvements of route optimization. My overarching objective has been to gather student ridership and school bus usage data that support analysis, which is needed to help drive change or enhancements to transportation services on the regional and district levels. This has been through efforts of branding our transportation department: “Denver Public Schools Transportation, Together. Forward.” I also implemented our innovative shuttle system called Success Express and rolled out our +Pass bus pass system. Spoiling my two grandsons, Quinn and Eli’ja’. I also enjoy singing, reading, scrapbooking, mentoring young mothers and working with my husband in ministry. That I am an ordained minister and love to sing praise and worship music. Have you noticed growth in the number of women working in leadership positions since you started in the industry? Yes, I have seen women in leadership grow in many areas. I attribute this to women embracing the challenge, thinking innovatively about making change happen in transportation and strategically thinking through how to accomplish the goals of the bigger district initiatives. This industry is forever changing. While we are all different, we are also the same. We do what’s right for students, putting safety first. We all are striving for ways to effectively and efficiently transport students. We are educators and professional, smart leaders. Jody Pressley says that a top achievement of her career is watching people she has taught and supported move into management positions in the industry. My husband worked at the bus facility [at a school district] in Charlotte when we married. A few years later, a position opened to help the district phase in a state-supplied software sold by EDULOG that we call TIMS (Transportation Information Management System), which was spearheaded by Derek Graham [now North Carolina’s state director]. I was hired, and I did the initial start-up work by learning the software, entering stops, runs and routes as well as perfecting a digitized map. At UNC-Charlotte, I provide daily support and assistance to school districts to help promote efficient bus routes. 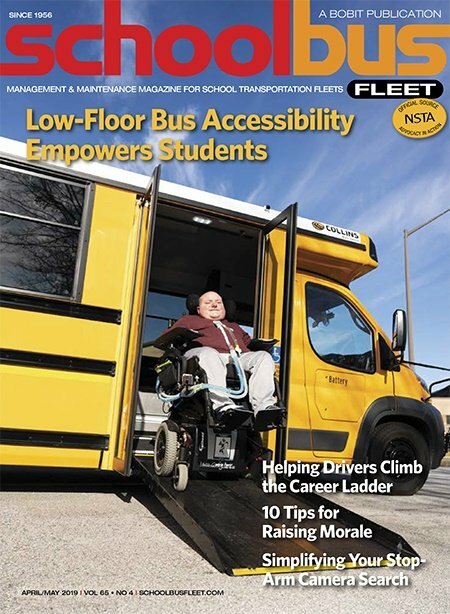 This includes a variety of tasks, such as conducting training classes, computer and software support, phone support, and consultation with various school personnel helping districts apply various strategies or techniques to provide safe transportation for students to and from school. Tell us about how TIMS works and how it benefits school districts in North Carolina. 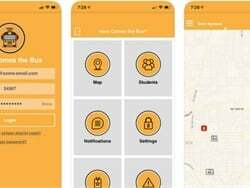 TIMS is a system of computer-assisted bus routing and scheduling to help school districts manage school transportation operations, and it provides tools to identify and implement efficient routing strategies. Watching people who I have taught and supported through the years move into management positions in school transportation, such as transportation directors/supervisors across North Carolina and nationally. We have a fully restored 1968 Chevrolet Impala that my father bought brand new. We enjoy taking it to car shows and cruise-ins. I also enjoy shopping for antiques. Keep your head down, work hard and listen to whoever is ahead of you, because you are going to learn something from them. It is all about getting children to and from school safely. There is never a dull moment! Alex Robinson says her top professional achievements are representing NAPT in Dubai during the first international school bus conference and becoming an executive director in the largest school district in the country. In 1987, I was working as a special-education teacher/behavioral therapist and was asked to “be in charge” of the behavior on the buses in Orange County, Fla.
I’m responsible for the overall operation and management of the Office of Pupil Transportation (OPT) for the New York City Department of Education (DOE). I have an incredible leadership team that makes it possible. 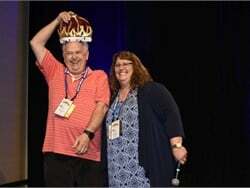 What was most challenging and/or rewarding about serving as president of the National Association for Pupil Transportation [NAPT] while also working as executive director of the OPT at the New York City DOE? Being president of NAPT has allowed me the opportunity to continue to spread my passion for what we do worldwide. Doing so while beginning a new adventure in New York City has been a challenge but very rewarding! Representing NAPT in Dubai during our first international school bus conference and becoming an executive director in the largest school district in the country. Leadership training, learning new languages, being outside, and traveling with my hip-hop dancing 17-year-old as she goes on auditions and dance competitions. I fly more than 16,000 miles a month so I can work in New York City and maintain my life as a single mom in San Diego. Don’t ask yourself what the world needs; ask yourself what makes you come alive and do that, because what the world needs are people who have come alive. Some since I started — still not enough! I find it interesting that this is such a “self-regulating” industry — the rules that govern our safety are often initiated by us. Everyone knows each other or knows how to access each other, and we share resources. It’s a community where people actually want to see their colleagues succeed and whose members are genuinely happy when they do! Katie Scholes says the most rewarding aspect of overseeing her company is observing the love the employees have toward the children they transport. In 1981, my daughter Jennifer was diagnosed with severe congenital heart disease. At the age of 4, she was non-verbal and needed to go to sign language classes. There were no regulations on special-education transportation, so for a year I volunteered to transport Jennifer and several other children to their programs. The following year, I started to contract with the school. I work on contracts, promote our services at conferences and keep the culture of our business alive by speaking with new employees, telling our story and sharing the history of special needs. What has been most challenging and/or rewarding about founding and overseeing your company? The most challenging aspect of growing the business was not knowing [certain things]. As an example, I went the first year in business with no workers’ compensation insurance. I thought it was part of our auto insurance. The most rewarding aspect is observing the love our employees have toward the children they transport. They believe that as a bus driver they can make a profound difference in a child’s life. Playing tennis, yoga, creating mosaics and gardening. Most people are surprised to learn that from the ages of 13 to 16, I lived in a cloistered convent in preparation to become a nun. I do believe that there are far more women working in leadership positions in the busing industry today than ever before. I attribute this partly to the fact that women start driving a bus when their children are young and then grow within the industry into leadership positions. I also believe this scenario best prepares leaders to understand the challenges of the industry. What I find most interesting is the evolution of the industry. What worked five years ago is no longer cutting edge. One must always be prepared to grow with the latest technology. Every day is a new challenge and a new adventure. Carlyn Wessel says she started teaching busdriver safety training classes because her best friend was run over by a school bus while the two were in grade school. 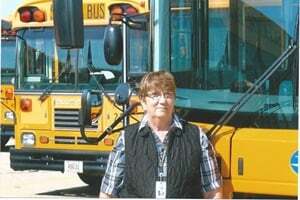 My career in school transportation began in 1969, with Linn-Mar Community School District. I started as a secretary in the transportation office. After working in the office several months, I took all the tests and became a bus driver as well. In 1988, I became the transportation director. I also started as a school bus driver trainer in the ’80s and continued to do that even after I retired from the transportation director position in 2002. Besides teaching the three-hour annual training for all the experienced drivers, I teach the three-hour face-to-face STOP class for new drivers after they complete an online course. Max Christensen, our executive officer at the Iowa Department of Education’s Office of Pupil Transportation, does a great job of giving us topics that need to be discussed with the drivers, such as handling bullying, school shootings, cell phone use and other distractions that drivers may have to deal with while driving a bus. I have continued teaching the classes because bus drivers are some of the nicest people you would ever want to meet, and I enjoy going to the area schools to see the drivers each year. Also, I know that I started teaching the safety classes because of my experience in grade school. 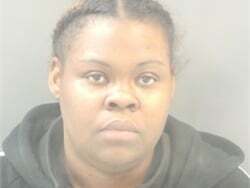 My best friend was run over by the bus I was riding. This experience left a lasting impact on me as to how quickly something can happen if you do not focus on making sure everyone is clear of the bus, and it is something I would tell the schoolchildren when I was the director of transportation. I also tell the drivers in my classes to make sure they can see all the students who get off their buses. In my spare time I enjoy traveling — I have been to all 50 states. I enjoy my grandchildren, and I also enjoy gardening and reading. I work part time in a tax office January through April. The best advice I ever received was from my mother: Treat people the same as you would want to be treated.